Sequoyah Tiger is the brainchild of Leila Gharib, songwriter, and singer with a constantly shapeshifting voice from Verona, Italy. Following last year’s Ta-Ta-Ta-Time EP, Sequoyah Tiger’s debut album Parabolabandit expands Leila’s distinct musical language, dragging us deep into her dark, twisted and sparkling fantasy. While exploring the limits and hubs of pop traditions, weird sound studies and vocal experiments, she comes up with bewilderingly beautiful songs in which vintage rock ’n’ roll and present-day avant pop happily clash with electronic and acoustic elements, jagged beats and subtle rhythms, otherworldly shouts and confessional words. Matching the customized vibe of her music, Leila likes to create compelling word combinations as shown by those of her alias and release titles. „Parabolabandit is a graft between two words that emerged during the writing process of the songs“, she explains. „Inside this imaginary word I found roots, trunk and leaves of the entire album.“ The concepts triggered by this neologism inspired not only new music, but also videos, artworks and future live performances, for which Leila will share the stage with dancer Sonia Brunelli. A „parabola“ can mean a dynamic, geometric shape, but also refers to a storytelling technique. A „bandit“ on the other hand represents something mysterious, an uncanny figure. You can easily spot all those contexts in Sequoyah Tiger’s music. Since Leila has always been involved with collaborative projects like the performance art duo Barokthegreat“ or the indie rock outfit Bikini The Cat, this album presented a chance to handle the whole process on her own, from writing to mixing. The album was recorded in Leila’s basement studio „Vampa Club“, where she follows a kind of trial-and-error approach, discovering new possibilities by solving problems. Every input is welcome: acoustic drums mixed with drum machines, processed guitars and synthesizers, field recordings and animal calls. But „singing is the main point and the cause for this project“, Leila stresses. From the intimate crooning of album opener „Another World Around Me“ to the Chipmunk outro of „Brilliant One“, Leila passes through a wide array of vocal effects, tuning her voice to the mood of the songs. Although she shut out external influences, you can still hear echoing Joe Meek. The harmonies of The Everly Brothers shine through in songs like „Sissi“, and „Where Am I?“ has the sentimental air of a Ronettes classic. 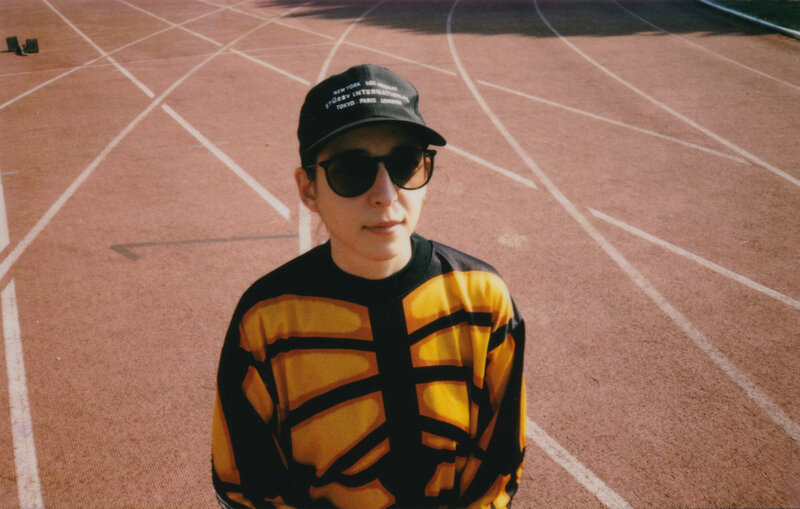 Still, you get dragged into the present again and again: The synth arpeggios of „Punta Otok“ confirm that Leila shares the DIY-pop attitude of Visions-era Grimes, while „Brother Brother“ inhabits the same weird world as Panda Bear. From beginning to end, Parabolabandit is a unique and sincere sketch of modern pop music, full of enthusiasm and inventiveness.